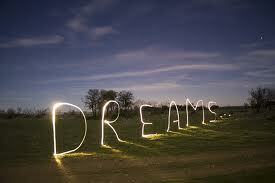 Dream (As defined in the Merriam Webster Dictionary)-a series of thoughts, images, or emotions occurring during sleep. My husband always says no one wants to hear about your dreams. Generally speaking that is- it has to be one of the most difficult things to describe to someone. It’s not a movie or a book that you can recommend to someone that they can go see or pick up and read. It’s describing your subconscious to another person, in theory giving them full access to your inner most thoughts. Well, that is if they care to sit and analyze why you just had a dream about three squirrels sitting on a low brick wall giving you love advice. Yes, I had that dream once in college. I have very vivid and strange dreams. Not all the time, but often enough that I am writing about it. I was encouraged to do so after recently breaking one of the Hub’s cardinal rules of “not sharing your dreams”. This particular dream was one of two re-occurring dreams I have had in my life. It involves a house. As a child, I believed it to be in Highlands, NC where my grandparents used to have a house we would visit most Falls and Springs. For the longest time, I thought this house was so real that I asked my grandmother about it. It was a beautiful grey stucco house that even now I can see in my head, but really can’t put it into words. The house was classical looking on the outside but the décor inside was a bit jumbled. Have I lost you yet? I would always approach the house in a car, but like I said, when I started having this dream I was a child so I wasn’t driving, but I don’t remember anyone else being in the car with me. I was going to visit the lady that lived there. I used to know her name, but I can’t remember it now. She was very sophisticated, but not stuffy. She seemed to like it when I came to see her. She was a grandmotherly figure but not any of the grandmothers or great grandmother’s I had at the time. Could she have been the perfect combination of all four of them? There was someone else there- a maid possibly? Starting to wish it was a book I could go pick up to help me remember. I can’t remember how often I had this dream, but I do know it was not often as I got older. I think it was college when (in my dream) I went back to visit her, but she wasn’t there anymore. All of her things were there, but not her. I don’t know if she died (in my dream of course) but she was no longer there and I remember feeling terribly sad about it. I always entered the same way- through a door closer to the right end of the front of the house. There was a pool towards the left in front of the house. Wooded land surrounded it with a well -manicured drive with tall boxwood hedges on either side. I generally would end up in a round room in the house that had a window going almost all the way around giving a panoramic view of the yard/woods. Shortly afterwards, I would wake up. Since I have been married with kids, I have had the dream one other time. I think I was looking for her to help me work out a problem. I went back, and not only was she not there, but I remember it felt like she’d been gone for a while. No lights were on and I think sheets were covering most of the furniture. There was a man there I think and he told me she wasn’t there anymore. Wow, I like your thinking…such a perspective I have never had about this! Gracias!